The role of the finance manager (FM) varies according to the size and complexity of the company involved. In general, they oversee most of the financial aspects of the company and are responsible for the flow of accurate and timeous financial data to the company stakeholders. Finance managers need to be able to provide accurate and relevant information for internal purposes for use by the Chief Executive Officer and Financial Director in order to make informed decisions or to be communicated to external parties such as shareholders, investors, banks or financing / lending institutions. It is the responsibility of finance managers to surround themselves with the right teams and implement systems that get the job done. To get this right they need a sound knowledge of the day-to-day operational areas that are critical in all businesses, such as working capital management, margin improvement, controls, systems and reporting. The finance manager’s role is essentially “hands on” in nature and should not be confused with the Financial Director role which is more strategic in nature. Having said that, no Financial Director role can be effectively executed without an excellent Finance Manager and related finance team reporting through to him / her. As discussed above, there are many valid reasons to have a finance manager in your business, however in this blog, we will be specifically discussing 4 reasons why you need a finance manager in your African operations. Africa is the last frontier. It is the continent that is yet to be tamed by local and International companies looking to expand their operations into an untapped and unsophisticated market. The African continent has the second biggest population density with mineral and agricultural opportunities in abundance. Tapping into the underdeveloped market is both tricky and time consuming. The challenges that face companies looking to conduct business in Africa are unlike any they have faced before. If you are looking to expand your operations to or conduct business with other African nations, you will need to have experienced management executives, particularly finance managers, that are familiar with these African economies and the challenges that present themselves. Understanding the African environment is of key importance and is why using a finance manager that has experience within these new environments, who can advise and guide companies as to the best way to set up and cost operations in the target countries, is critical. The experience gained on the ground in these African countries is unique and can’t be confused with experience gained in developed countries and South Africa for that matter. There is a severe lack of infrastructure on the continent. Many road, rail and air networks are only being developed now. Whilst this does present a challenge, a finance manager that has experience within the African continent, has the knowledge and experience to best leverage these infrastructural constraints. They will be aware of the costs associated with operating businesses locally and can advise the company leadership of the best way to establish operations and develop realistic business plans having taken all the relevant nuances into account. 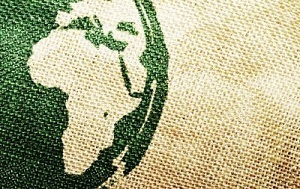 Finance managers with African experience can implement effective and realistic profit planning strategies to chart the most efficient and effective volumes for your business, by looking at your input costs, sales prices and margins as well as tax planning elements that are specific to that country or region. It takes a while to build up a reliable network of partners and suppliers in any country or territory, but in Africa, even more so. Experienced finance managers with African experience will have developed a network of individuals and organisations that are credible and worthy of conducting business with. This experience is invaluable as these networks will have been assembled over time on a trial and error basis. There is no point in paying very expensive school fees that have already been paid. Nowhere is the saying, “It’s not what you know, it’s who you know” more relevant than on the African continent. If your company is in an exploratory phase with regards to operating on the continent, we cannot stress enough the importance of engaging a finance manager that is familiar with, and has had experience within, the continent. These finance managers can be engaged on a part time or interim basis and are worth their weight in gold.